Recycle empty cans and use them in your garden, take help of these 32 cool DIY Tin Can Projects & Ideas! 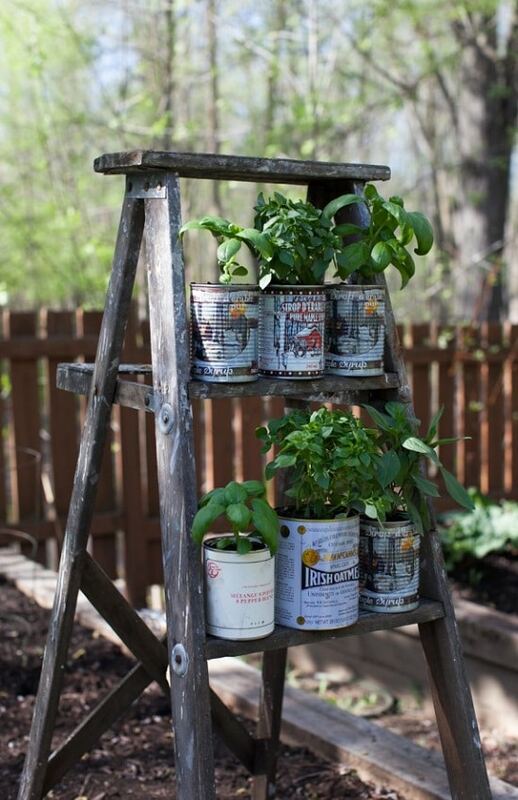 Upcycle a wooden ladder and used tin cans to complete this project here, perfect for limited space gardeners. 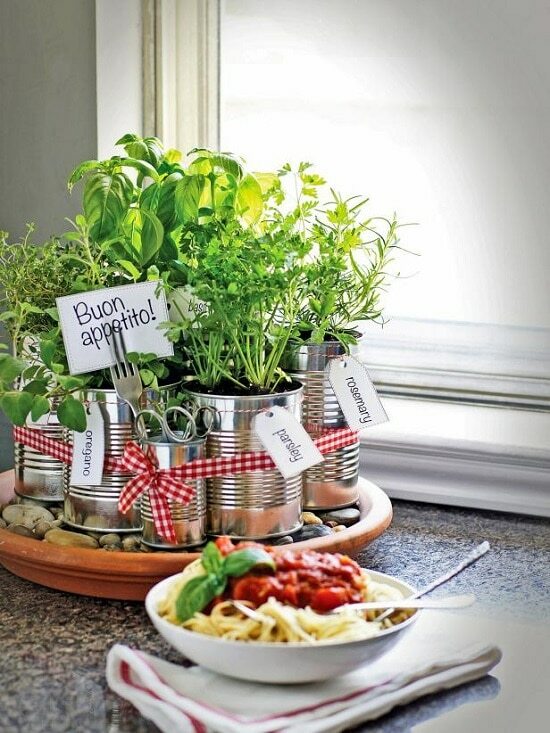 Find more tin can herb garden ideas here. 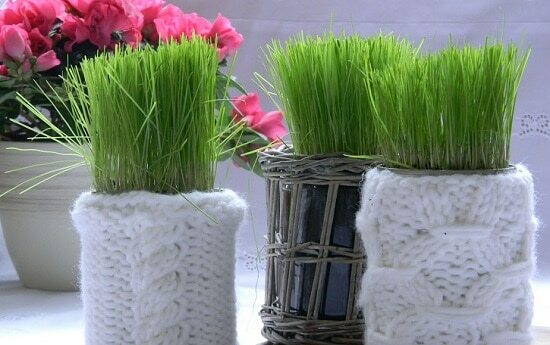 These knitted pots are originally spare tin cans. 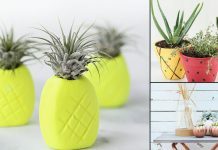 This blogger used them to grow grass indoors to add a dash of green. 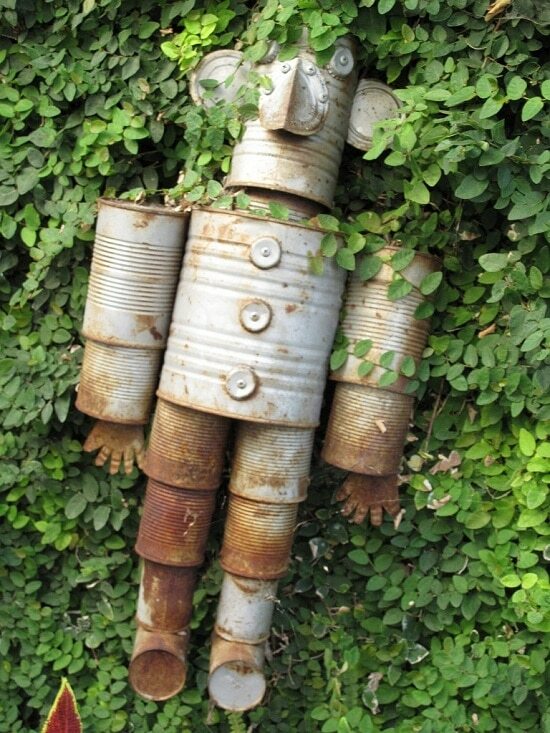 This Tin Can Man is a fine example of unusual DIY things to do with tin cans! Collect a few cans and head over to this blog to complete this interesting summer project for your garden. 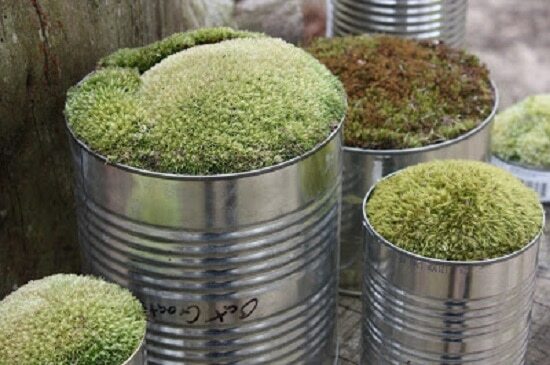 How about growing moss in tin cans and customizing them following a tutorial here. 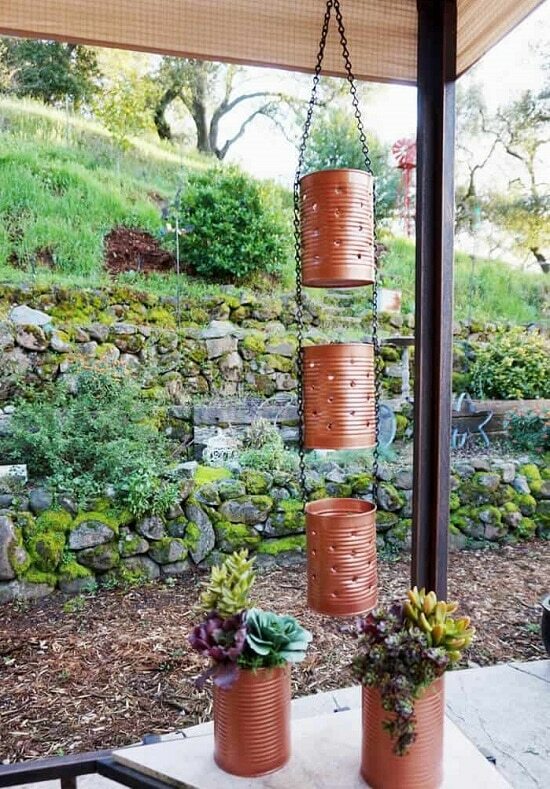 This wind chime is one of the most creative DIY tin can projects in this list. Involve your kids in it and they’ll be more than happy. Make these beautiful lanterns from tin cans with the help of this tutorial and light up your garden, patio, balcony or urban rooftop. 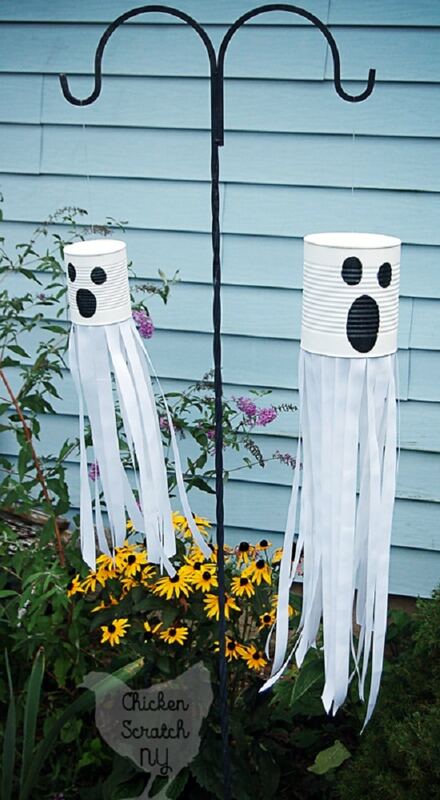 There are many more DIY lantern ideas! 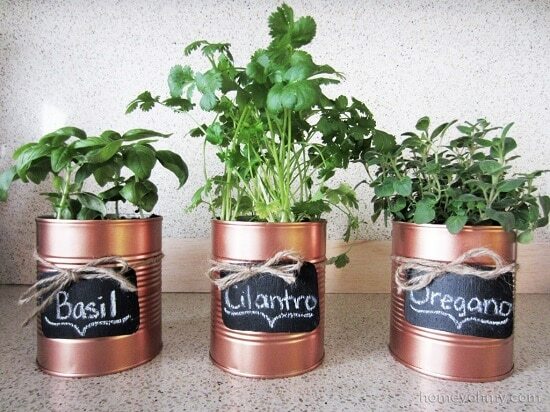 These copper tin can planters have chalkboard texts, perfect for growing indoors herbs. Make them from here. 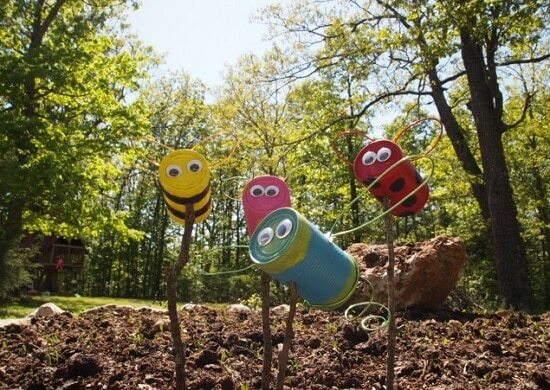 These ridiculous tin can creatures can be a sight to witness in your garden. 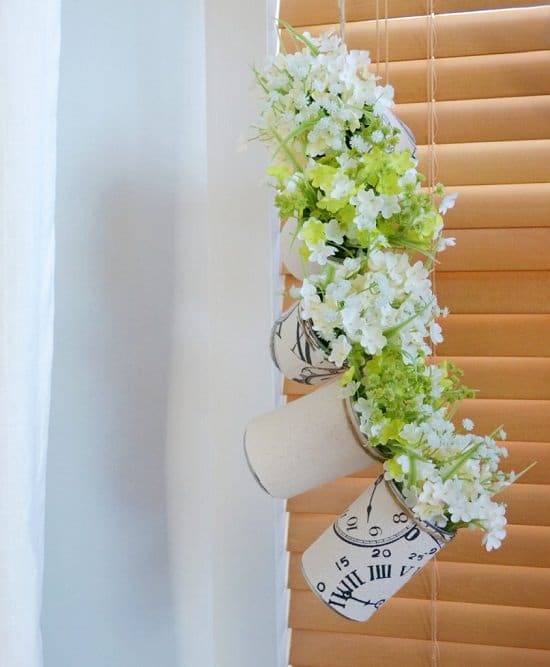 The source of this DIY is here, you can be more whimsical and do more your way. 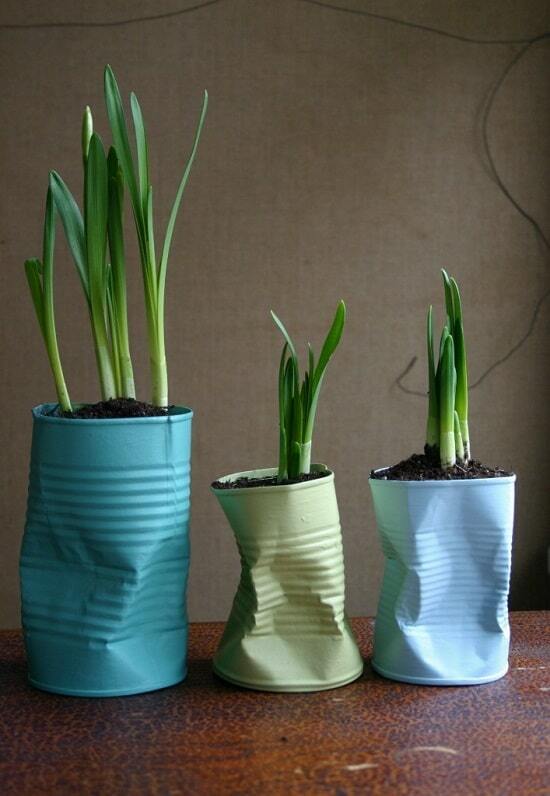 Simple and easy, paint the boring tin cans and use them as pots. We found this here. 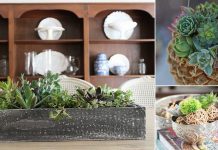 Find out more pot painting ideas in this post. 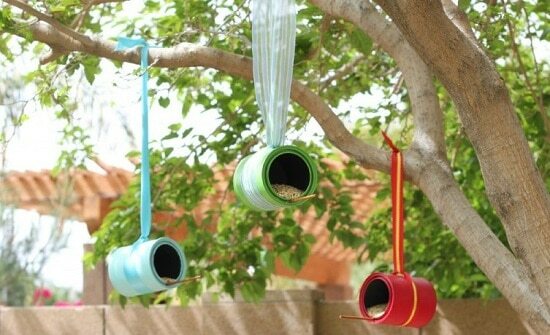 Make beautiful and functional tin can bird feeders for your backyard. Get the tutorial here. 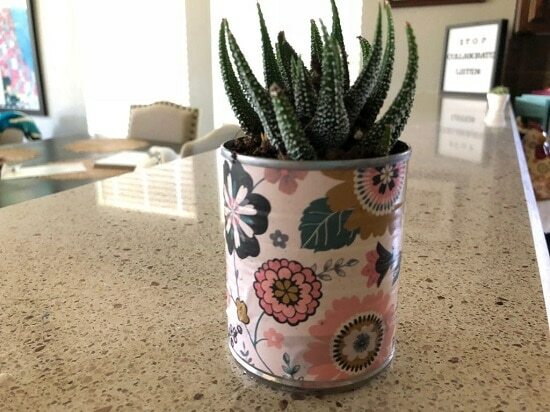 This tin can flower caddy can be used to grow herbs and other plants as well. Learn to make it here. 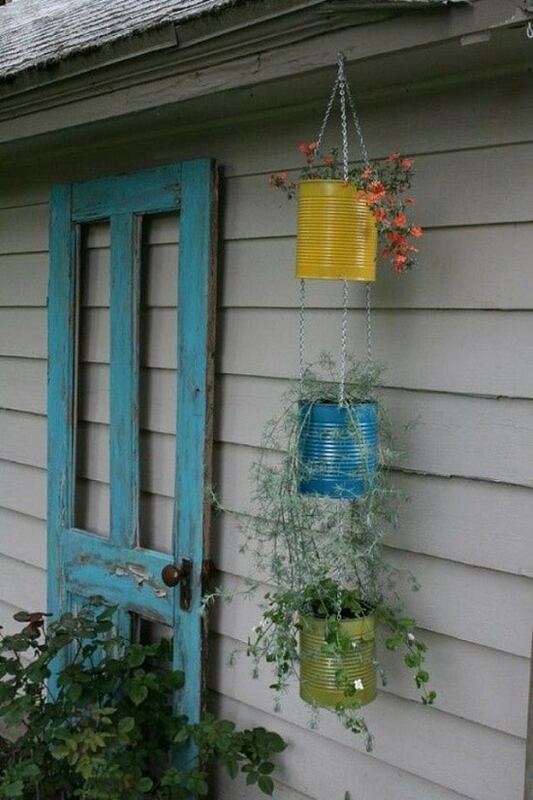 Hang a series of tin cans like this, to grow plants vertically. See many more ideas like this here. Give a boost to your garden decor with this planter+lantern tin can project here. 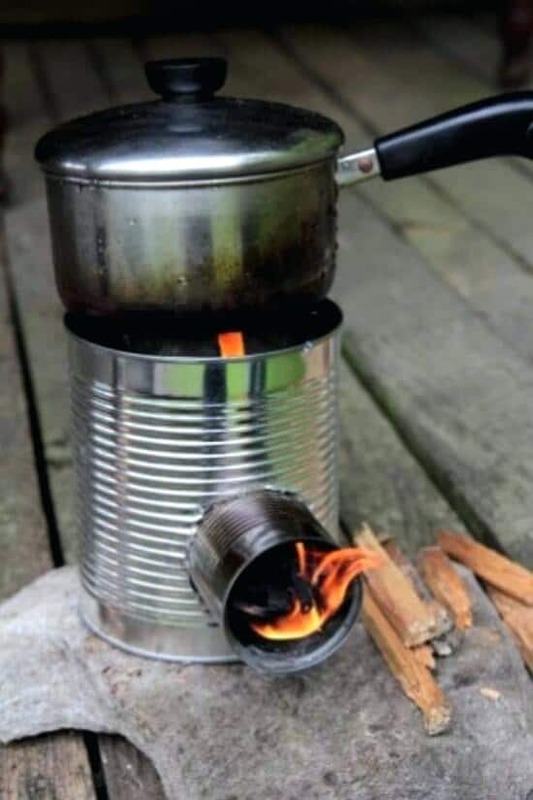 This rocket stove is made from tin cans, it’s portable and lightweight, which means you can keep it with you on camping. We found the DIY here. 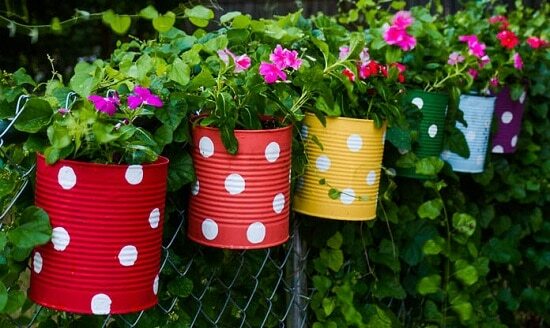 Color the tin cans and hang them on your wooden backyard fence, grow plants in them. Find this clever idea+many more in this garden fence decoration ideas post. 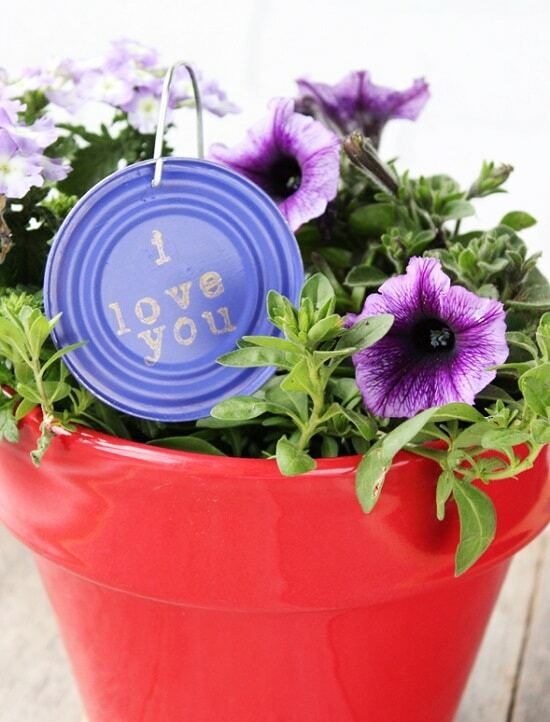 Transform tin can lids into stamped plant labels and garden markers with the help of this DIY. 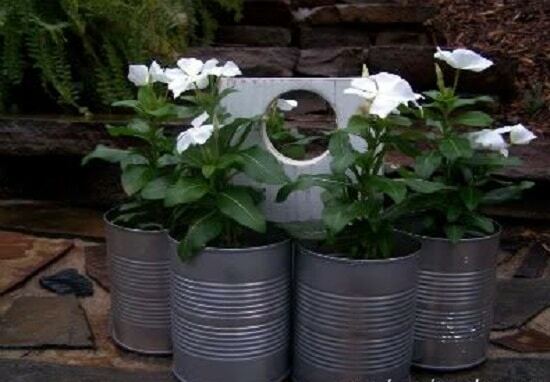 This tutorial video will explain how to recycle tin cans into planters. 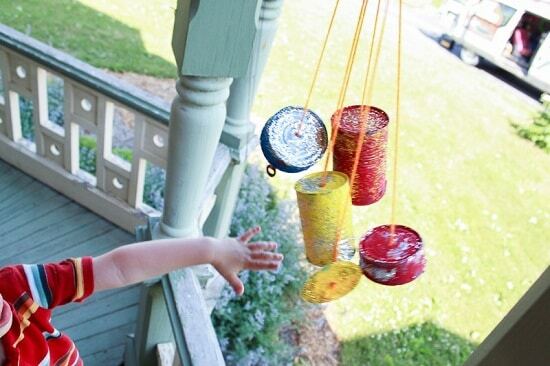 Make easy garden charms out of throwable soda cans with the help of this tutorial. It’s easy–Get some coffee cans, ropes, and hot glue. Glue the rope tightly around the can, from bottom to top. Trim the end of the rope, if coming out. 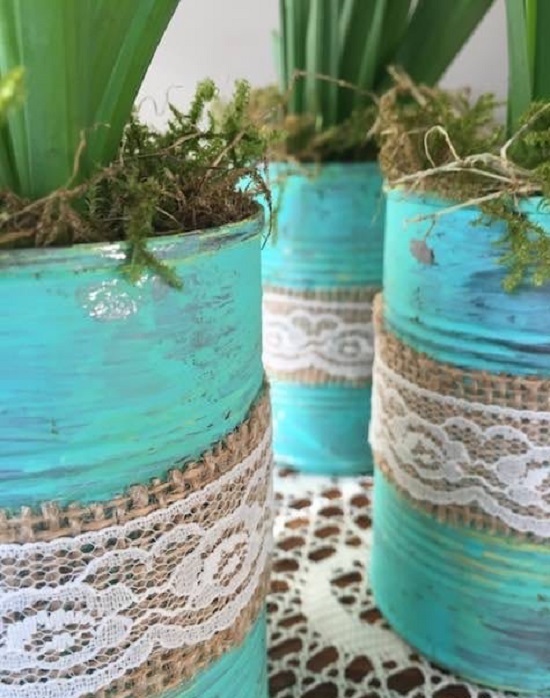 Welcome spring with this tin can planter idea here using laces and burlap. 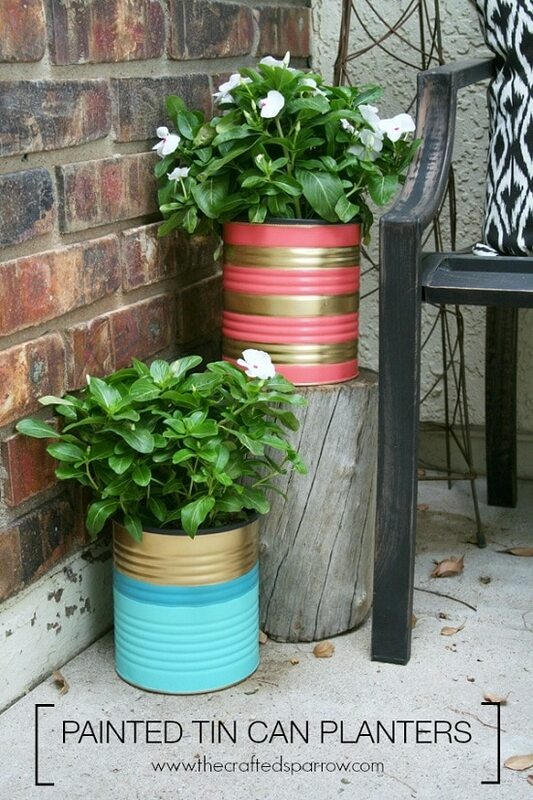 Tin cans crushed and spray painted to use as planters, click here if you like this DIY. 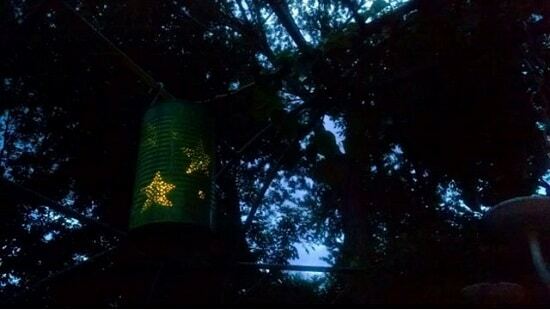 Collect several tin cans, inexpensive solar lights and a few other common supplies listed here to complete this project. 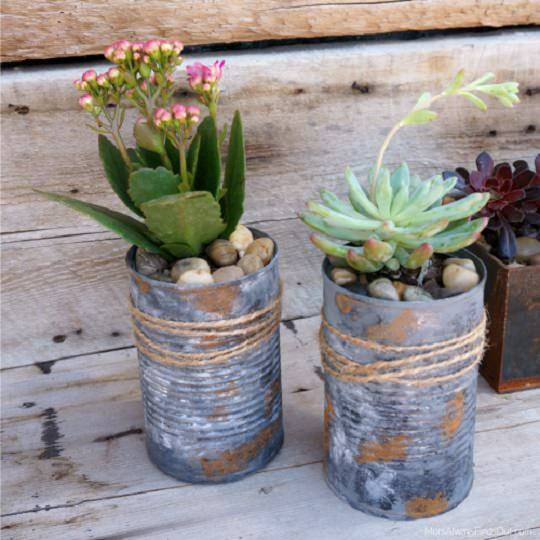 Give an aged look to your tin can planters with the help of this tutorial. 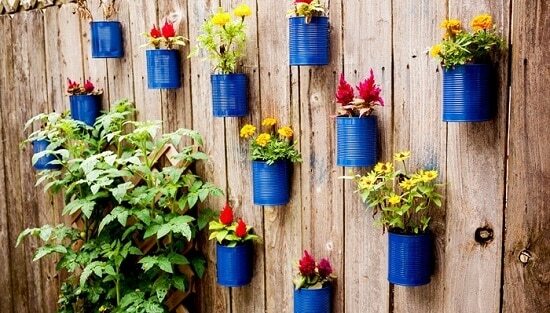 Paint tin cans the most playful way, grow plants in them and hang them on a fence, lattice or a pallet board. We found this idea here. 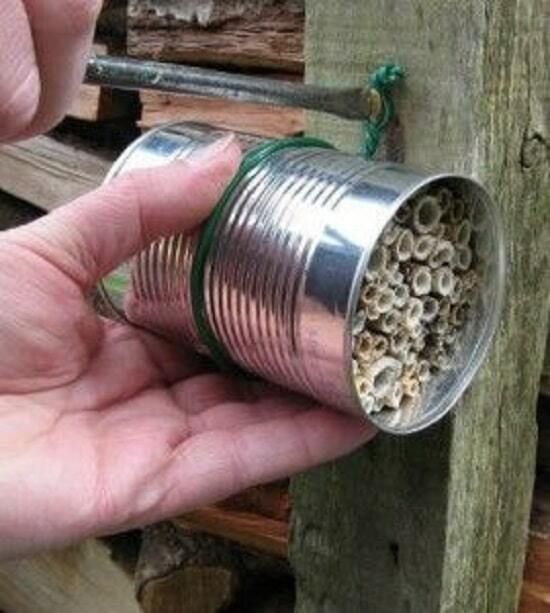 We’re not listing Halloween tin can ideas but this one deserves a place. The DIY is here. 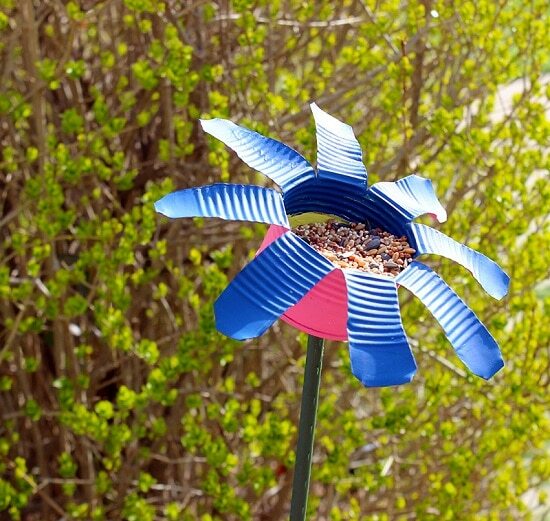 This tin can flower+bird feeder craft is a creative idea, you can find its step by step tutorial here. 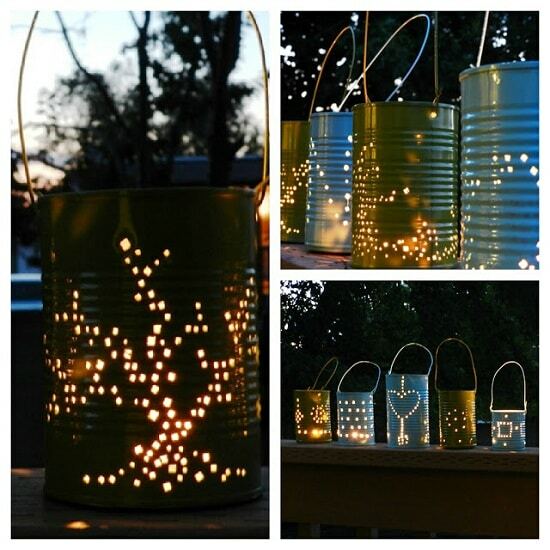 If you love to recycle, don’t let the tin cans go out of your home, you can do amazing things with them. This post is an example! 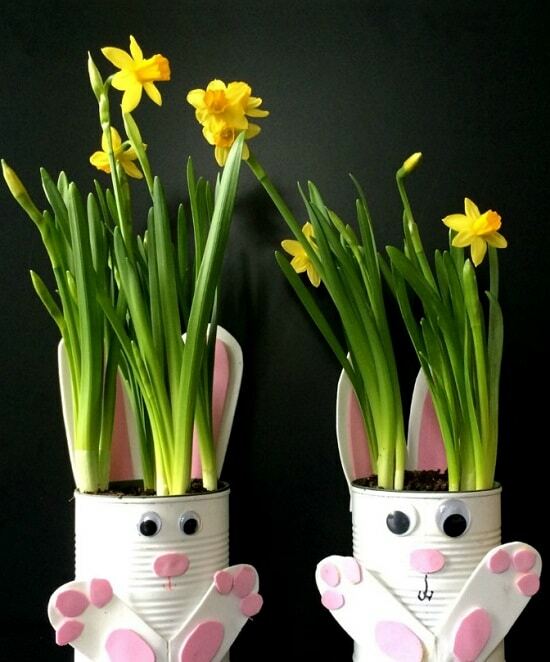 These tin can bunny planters will look good on Easter and then in your kid’s room. 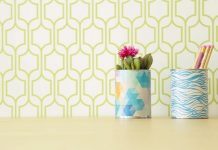 Use tin cans and other recycled materials to complete this project. 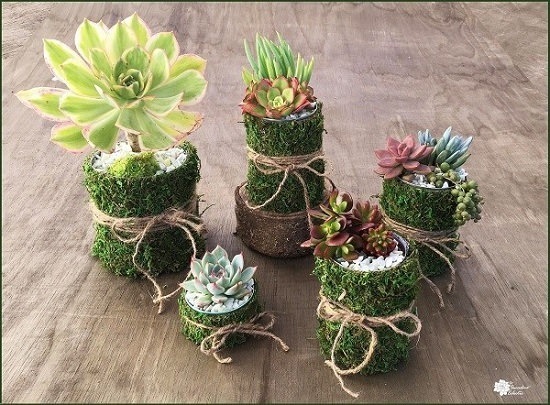 These cute looking moss tin can planters can be excellent wedding centerpieces or garden party favors. Find out how they were made here! Recycling at its best, learn about this idea here. Also, check out many more kitchen countertop garden ideas here. 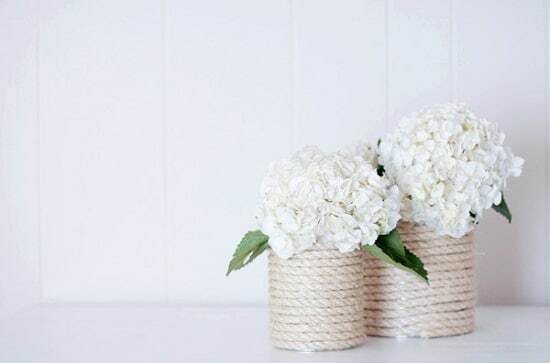 These hanging tin can planters are perfect to house cut flowers, plants (faux or live), and other arrangements. The tutorial is here.